Who else, but Gary Schrier, would write, and publish, entirely upon his own initiative, and largely out of a personal desire to simply see it done, a monograph on the history of one single, particular pipe design? As far as I know, no one. 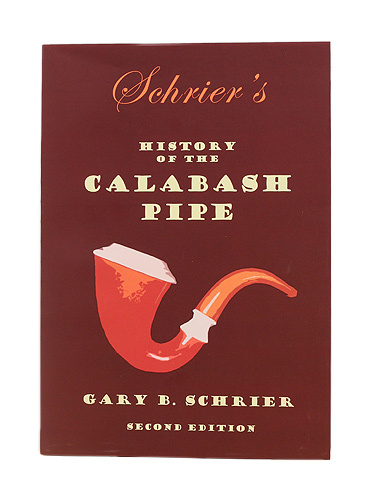 As Quixotic an endeavor as Schrier's History of the Calabash Pipe might initially sound, there's nothing irrational in the manner Gary has gone about researching and writing the book itself. Make no mistake, this is a thorough account of just about every imaginable aspect of the history and development of this utterly unique category of smoking instrument, touching on everything from the Calabash's popularity amongst fighters of the Anglo-Boer conflict to the finest modern collections - and all with a wealth of accompanying photographs.